My favorite forms of cardio…and no it doesn’t involve a treadmill. Yes, it’s true. I’m not a huge fan of long periods of cardio. You won’t see me sitting on a piece of equipment for 45 minutes. I get bored easily and I want my time spent in the gym to be spent in the best way possible. Strength training first followed by cardio. 1. HIIT – Based on where I am and what equipment I have available these exercises change. Speed and intensity are the most important factors. You should not be able to have a conversation while doing this. Use a timer and complete 30 seconds of work followed by 30 seconds of rest. Repeat circuit 4 times. This workout is body weight so no equipment needed. Twenty minutes and you are done! Rope slams, alternating arms, circles, squats with alternating arms, and the list goes on. Work for 25-30 seconds and rest for 30 seconds. One of my favorite outdoor workouts for my boot campers and myself. Do as much as you can and push yourself. I love training on hills and stairs and it’s FREE. Choose a hill that is steep or steps and try this workout as a finisher after your strength workout. If you are looking for increased intensity substitute a jump squat. I love cooking and trying out new recipes. 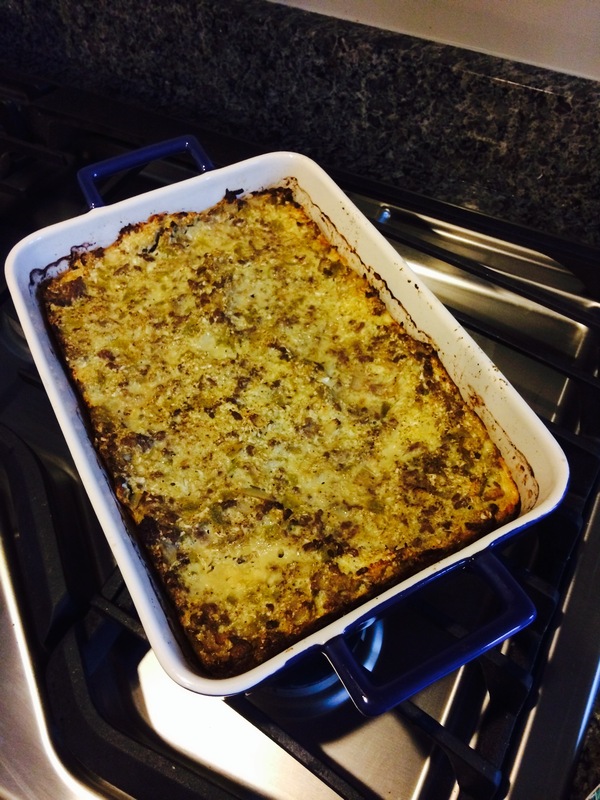 I saw this recipe posted to the paleo recipe site PaleOMG. Eating healthy is all about being prepared and sometimes casseroles are so easy to throw together, pop in the oven, and eat. I’m always looking for new ways to use ingredients and this one caught my eye. I made a few changes based on what I had in my fridge and it was yummy and husband approved. Next time I will definitely be trying it with chorizo. Make sure to check out PaleOMG for lots of yummy recipes! Below is the recipe with the slight changes I made from the original recipe. Place a large pan over medium heat. 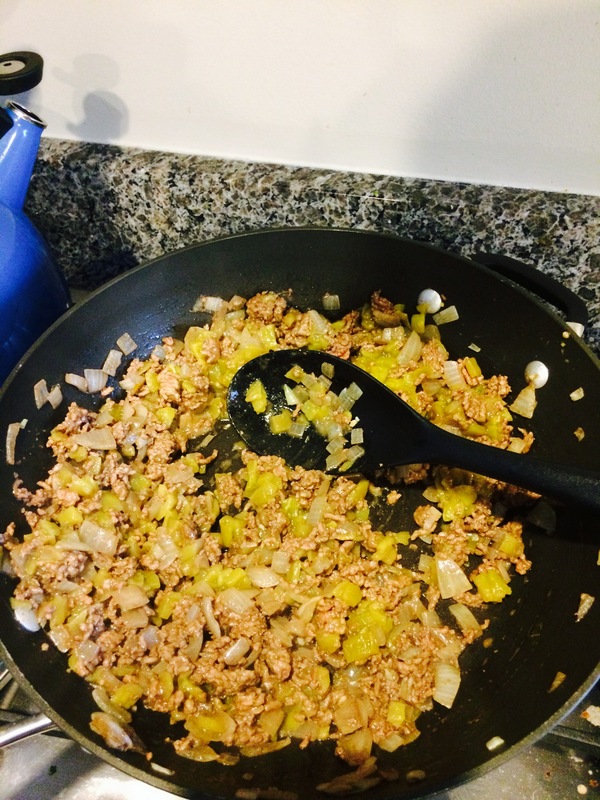 Add ground beef and yellow onion to the pan and brown meat. Once meat is fully cooked through, add diced green chiles to the pan and mix well. After everything is mixed, remove from heat and add to a large bowl. 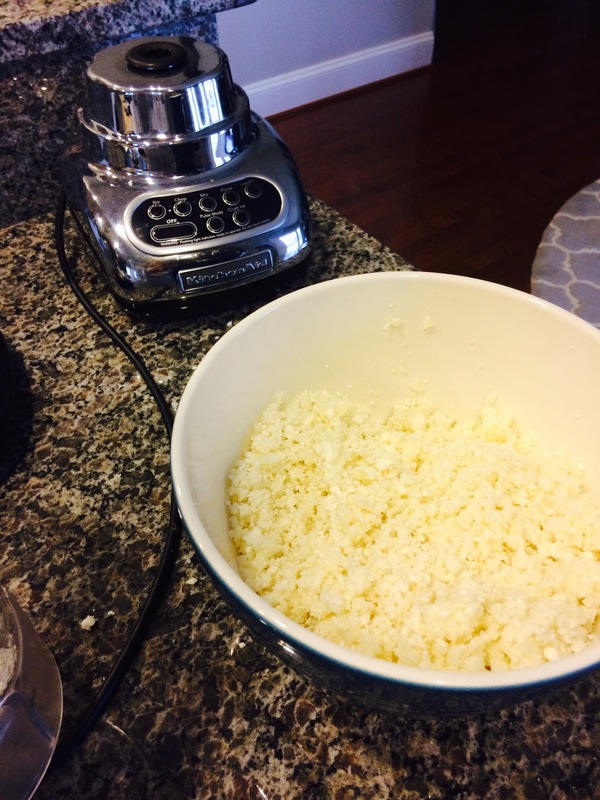 Using a food processor(I used a blender to make my cauliflower rice) with the shredding attachment, add cauliflower florets and puree until you get cauliflower rice. 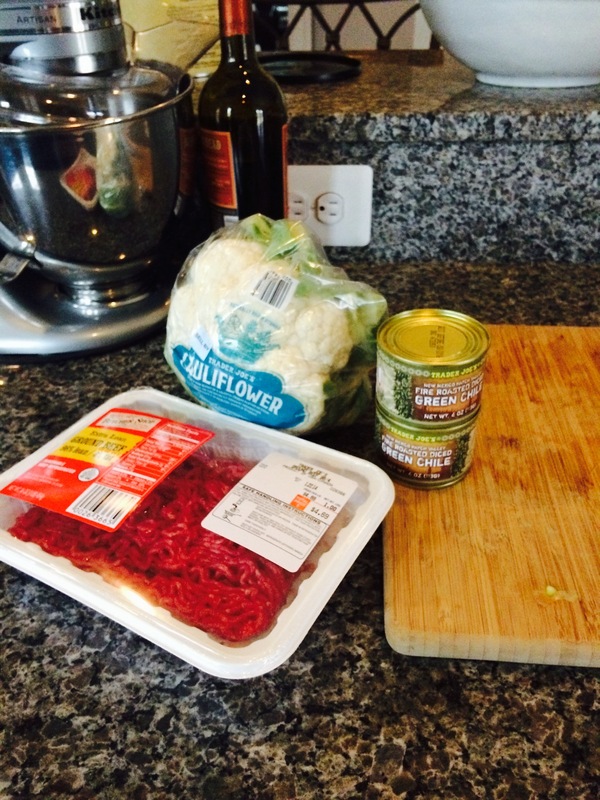 Place cauliflower rice in bowl. Add garlic powder, whisked eggs to bowl along with lots of salt and pepper (more salt than pepper) and mix everything together. Remember that the cauliflower will want the flavor. Add mixture to a greased 9×13 glass baking dish and place in oven. Bake for 45 minutes. Let rest for 5 minutes before eatin’ up. Top with diced green onions, if you’d like! Priscilla's Fit 2 Be Wed - Featured by Bayside Bride!